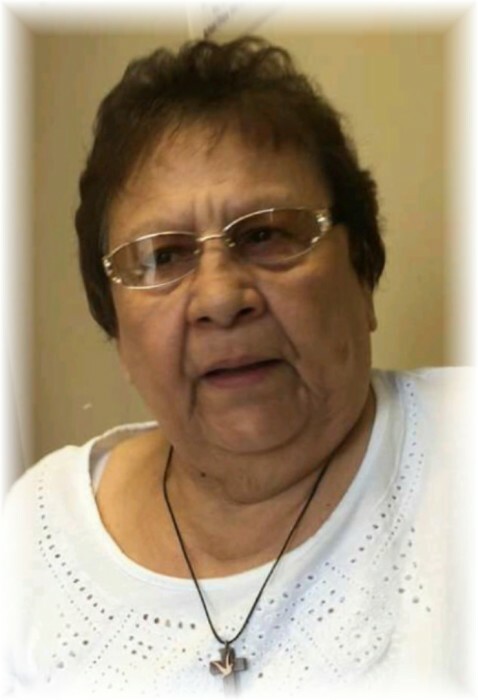 Obituary for Dora Gladys Primeau | Grays Funeral Chapel LTD. It is with great sadness that the family of Dora Primeau announces her sudden passing at the age of 78, on December 6, 2018, in Saskatoon, SK. Dora was born on March 14, 1940, to parents Josephine and Etienne Primeau. Dora will forever be remembered for her ability to make others laugh. Dora loved to play Bingo, scratch and wins, and win or not, loved to shop. She was a very kind and loving mother, friend and had a great love for her many grandchildren and great-grandchildren. Dora leaves behind her children: Reg (Leanne), Glen, Darlene, Rodney (Michelle), Diane (Darcy), Tracey. Grandchildren: Tiffany Proulx, Renno Okemow, Nicole, Theran, Tasha, Tanner Sorenson, Charissa Lavoie, A.J. Lavoie, Melissa, Rick, Maidment, Blake Fowler, Cheyanne Dickie, Kerrigan, Alex Stenson, Douglas, Damien Dickie. Great-grandchildren: Delyka, Sadie, Kash OIford, Ace, Kinslee, Raelyn Okemow, Taylor, Brooklyn Sorenson, Lucious, Lyra Lavoie, Avery Lavoie, Kyra, Chase Maidment, Ava, Owen, Mya Maidment. Brothers: Lloyd (Jo-anne) Primeau, Vince Primeau. Sisters: Margret Primeau, Adalaine Lariviere, Virgina (Gary) Parenteau. Dora was predeceased by her daughter Judy Jennette Dickie. Brothers: Lawerence and Leo Primeau. Sister-in-law Bonnie Primeau. Memorial Service will take place on Tuesday, December 11, 2018, 2:00 p.m. at Gray’s Funeral Chapel, 575 – 28th St W, Prince Albert, SK. Condolences may be sent to the family at www.grays.ca Funeral arrangements have been entrusted to Gray's Funeral Chapel, (306-922-4729).